Exclusivity is often a trait synonymous with fashion. Product scarcity and hard-to-find merchandise ensure fans compete and hunger for a chance to cop this season’s newest drop, and unsuccessful purveyors can hope to find a coveted product on a resale platforms. Unfortunately, these reselling sites often make it difficult to authenticate purchases and can lead to endless bidding wars, driving the price for buyers well above the initial price. StockX is a reselling platform that, as its name suggests, models reselling after the stock market exchange. Billing itself as the first-ever “stock market of things,” buyers can place bids on an item and immediately make a purchase once the seller’s ask is met. StockX also verifies and ensures the authenticity of everything it sells. StockX is disrupting the industry of hype even further through the launch of its StockX IPO auction. This blind auction format allows shoppers to place anonymous bids on an exclusive item that Stock offers. The top bids that match the amount of items in stock were able to purchase that item, but all buyers pay the lowest winning bid. We spoke to Founder and CEO of StockX, Josh Luber, about how this model has implications for the future of hyped drops by empowering more people to purchase exclusive products and avoid the chaos typically encountered through scarcity. PSFK: Could you explain how StockX works and what makes it unique? 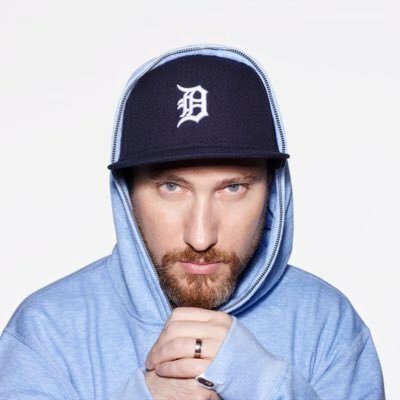 Josh Luber: StockX is the largest marketplace for sneakers and streetwear, but we also sell watches and handbags. The bigger idea and the reason why this company has grown so fast is it’s a consumer goods marketplace. We are an evolution of eBay. All we do is connect buyers and sellers. The way we do that is the same ways that the world’s stock markets connect buyers and sellers together. The products we sell—sneakers, watches, handbags, almost all consumer goods—they’re all assets. They’re all commodities. They’re all unique items. They have some amount of supply in the world. By understanding demand, by understanding what the true market value of any asset is, you can create a more efficient marketplace. That’s the theory, and it’s worked pretty well, so much so that we sell more sneakers than anybody. The idea of a consumer good as an asset is a pretty powerful concept. What is your typical customer looking for? What points of difficulty arise when they’re dealing with traditional resale? At the highest level, StockX is just about access. For the sneakers, which is the largest category, the marketplace models have evolved. StockX authenticates products and creates a single product page. There’s all this noise and confusion trying to figure out what the product is. Is it real? Is it what it’s supposed to be? How much is it actually worth? On StockX, when consumers go there, there’s a single product page as opposed to thousands of different pages for a shoe. There’s one price. The lowest bid is the true market price for that shoe. Because we authenticate all products, consumers know it’s real. Could you describe how you enable transparency? How do you go about verification? There are two parts to it. We authenticate products. There’s tremendous amount of value in that. There are a lot of marketplaces that don’t. For us, it’s really just the baseline. Authentication is not unique. Other people can do it. It’s largely elbow grease—you go out, you acquire real shoes, you acquire fake shoes, you rip them apart, you identify the differences, you document the differences, you create your training materials, you train people, you create technology. You have to really love sneakers, or watches, or handbags, or whatever it is the product that you’re authenticating because you’re around that product all day. But it’s a skill that theoretically you could teach to anybody. If you have that one single product page where you can bring everything all in one place—every bid, every ask, everyone who’s looking to buy, everyone who’s looking to sell—it makes that buying and selling experience a lot easier than on eBay or anywhere else. The selling is really the revolutionary part of the whole experience, because in every other form of commerce, you have a price and you have a buy button. Only in the stock market and on StockX can the seller also choose if they want to complete the transaction. On StockX, in addition to having a price and a buy button, there’s also a price and a sell button, so the seller can sell immediately at the highest bid whenever they want to sell. There’s a standing bid. That is true customer demand. That bid on StockX is tied to someone’s PayPal or their credit card. If they want to sell a pair of shoes, they don’t have to list an ad. They don’t have to write a description or take a picture. They literally don’t have to do anything at all except just click the sell button. It is as easy to sell a pair of Nike’s as it is to sell a share of Nike. If you think about selling a share of Nike stock on the New York Stock Exchange, you wouldn’t write a description, take a pictures of it and list it on a marketplace and hope someone else comes in and buys it. You recently had a blind auction activation. Could you describe that experience and the inspiration to launch it? This is, I think, the future of all ecommerce. What we’ve talked about so far is the core business, which is that we’re a better secondary market for certain products. The really interesting part is when you can work with brands to release products into the world, to literally IPO consumer goods into existence. The auction we did three weeks ago was the first IPO at scale. 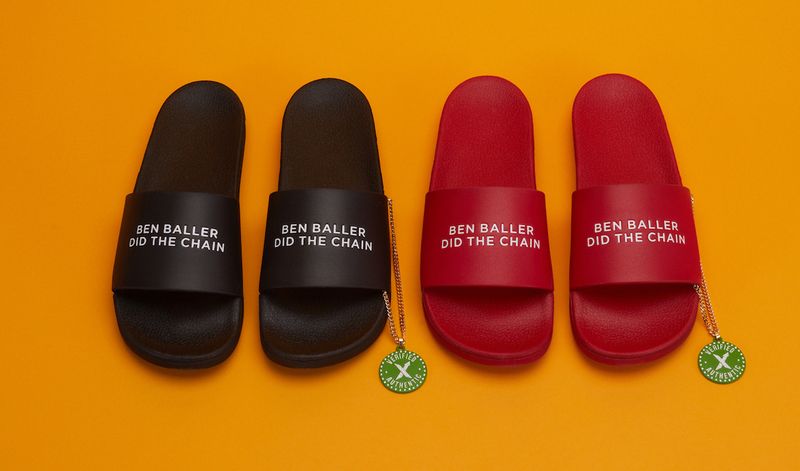 We did 800 pairs of a slide sandal with a celebrity jeweler, Ben Baller. The product almost doesn’t matter. It’s a piece of footwear that has considerable interest because of a famous person who generates demand. It was a true blind Dutch auction. There were two colors and there were nine sizes per color. Let’s say there was a black, size 9, and we tell the world how many pairs are available. Everybody just bids blind whatever they want. There’s no trying to beat somebody else. Bidders have three days. Then, at the end of the three days, the top 50 highest bids win. Let’s say that the highest bid is $1,000. Then the 50th highest bid is $200. If there are 50 pairs available, then on the 50th bid, that establishes the clearing price, and all of the winners pay that. Even if a person bid $1,000, in the end they still pay $200. In that scenario, 49 of those 50 people all end up getting the product for less than what they bid. This slide which would have retailed for 70 bucks or so if it were a retail product was sold at the blind Dutch auction. The clearing price on these slides was about $210. Then, as soon as the IPO was over, we turned on the secondary market and allowed those people to resell if they wanted. They were trading for between $350 to $400. The macroeconomic theory of how a Dutch auction is supposed to work played out perfectly: These products ended up going into the market at a price greater than retail price but less than resale price. Because it’s a Dutch auction, most of the people who bought it were able to get it for less than what they were willing to pay. It truly is a win‑win experience. Sellers are able to put products into the market at a true market price where everybody feels fair, everybody feels like they got a good deal. It eliminates all the chaos and confusion. If the item was sold at retail for $70, consumers would have had to sleep outside of the sneaker store for two days. They would have had to pay off the manager, or write a bot, or get unbelievably lucky and win a raffle—all the nonsense that goes into that. Was there anything that surprised you about this activation or anything you can share about the results in terms of engagement? The most surprising part was the fact that it played out exactly the way that it was supposed to. Our largest concern going into it was how to create an experience on a website where 14‑year‑old kids can engage in a blind Dutch auction without our having to explain what a blind Dutch auction is. By the way, we never used the term “blind Dutch auction” when we did it. We created three different videos explaining how it worked. Maybe it worked because we did a really good job of messaging and with the UI, or maybe it’s because there were some people that wanted this product so much they were willing to take the time to figure out the process. Either way, we’re excited to keep doing these auctions. The process seems to walk an interesting line between exclusivity and gamification. How do the brands you partner with feel about this? What happens today in ecommerce is not only does not everybody get the item, but it’s effectively impossible for anyone to get it if they aren’t in the game. If you decided you want a pair of the next Off‑White Jordans that come out, good luck. Are you going to sleep outside a Foot Locker for three days? Are you going to try to find the right person to bribe to get to the front of the line? Are you going to try to write a computer program to snipe it? There are raffles. Theoretically, you have a small chance. There’s so much disparity between supply and demand. Supply is so limited. In the IPO model, what we’ve done is we’ve at least given everybody the exact same chance to participate to buy the product. You just have to be willing to pay a certain amount. And because we used a Dutch auction, consumers actually end up getting it for less than what they were willing to pay. We let the market set the price. Google showed us that this was possible at scale when it started using a Dutch auction for selling keywords. The top bidder won but they paid what the second-highest bidder bid. That made it so that person who won didn’t feel like an idiot if they bid $400 for a keyword and the second person bid $25. That’s exactly what happens here. When we are working with brands, the IPO model is super flexible to be able to adapt to what those brands want. All of that hype—people sleeping outside of sneaker stores—it’s good PR for brands. It’s good marketing. It builds cachet and it builds hype. The last piece we make sure to include. Because the IPO model is flexible, because there isn’t a situation with bots crashing the site, or too many people trying to get it, it’s a fair system. We can open it to the world. There are ways to be flexible and work with the brands to drive that hype but get rid of all the bad parts. Finally, what is the advantage to consumers of having variable pricing? The IPO model is centered around the concept of variable price. The idea is that there are certain consumer goods that should not be arbitrarily priced using a retail price, but should be priced using supply and demand. You don’t need variable pricing for everything. You don’t need variable pricing for Cheerios. They will make as many Cheerios as people will buy. There’s essentially an infinite amount of Cheerios, and so it’s OK for Cheerios to be four dollars per box. They cost two dollars a box to make. While I don’t think the IPO model applies to that middle‑of‑the‑road shoe that’s $110, for about a quarter of the products on StockX, we sell for less than the retail price due to the variable pricing. At the end of the day, though, StockX is really about access. In Foot Locker, there are 300 pairs of shoes on the wall. There are 35,000 on StockX. StockX is changing the way consumers experience reselling and drops, democratizing access for bidders worldwide. For more from similar innovative platforms, see PSFK’s reports and newsletters.